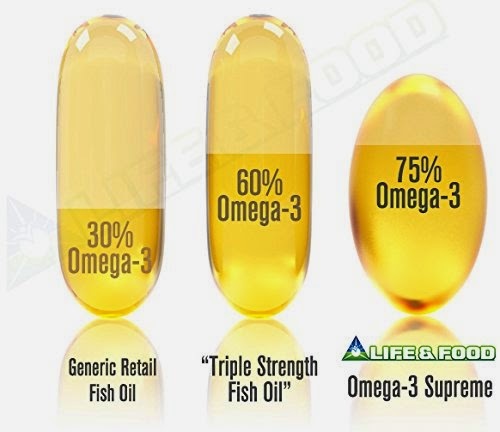 I am a huge fan of Omega-3s. I just feel so much more healthier when I add an Omega-3 to my daily vitamin intake. I always worry about taking them because some of the Omega-3s that I have had, gave me really yucky fish burps. But, not these babies! As long as you eat something after taking the Omega-3, you will not experience any fishy burps. I promise! My skin feels softer and I have more energy throughout the day. I even got the hubs to take them, which is great! Great pills for the both of us to take. Very easy to swallow. The recommended dosage is 2 capsules a day. I take one with breakfast and one with dinner. Available in 90 count or 180 count. You sold me on "NO fish burps!" I had no idea how awful they can be. I still have a tub to go through, but I will keep these in mind when I'm out. They are now in my wish list. Thanks! Sounds like a very good vitamin. Thank you for sharing your review. I may have to check this out. I really need to look into these because I can see where they might help me in many ways. Thanks for the information! They are a great product! Great article! You may have convinced me to try them! Sounds like a good vitamin and like the no fish burps too! A great vitamin for everyday health :) Thanks, Joanne! I currently take krill oil supplements because they're cheaper...wish I could afford Omega-3s more often.